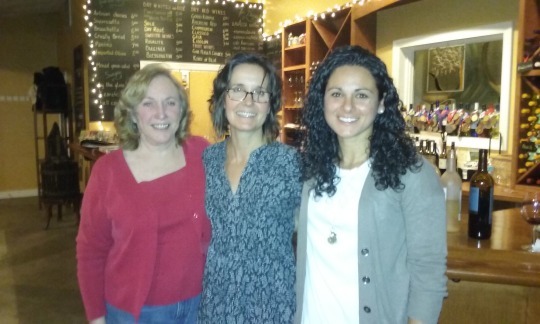 From left to right: Audrey Gambino, Villa Milagro Vineyards, Julie Doninni, Auburn Road Vineyards and Regina Villari, Villari Vineyards. Here Audrey discusses how she contemplates how to blend her wines. at UC Davis and completed her Viticulture and Enology training in 2015. Here she and Julie talk about things they took away from their viticulture training. Why do women succeed in winemaking? Julie thinks it’s because they have patience.